While they won’t remember it themselves, the first Christmas is always a special one and the perfect opportunity to spoil them a little. Click through for ideas on how to do just that – Babyology style! Wrapping your new baby in a Cocooi Newborn Babywrap is a fantastic way to introduce the newborn bub in your life to the super comfortable world of Merino. Available in six colours, the Cocooi wrap provides the most amazing of cocoons to help baby settle and regulate body temperature. Priced at $65 (including post) the Cocooi Newborn Wrap comes complete with a coordinating beanie and is available from You and Baby. Grace and Favour’s Baltic Bubba Dolls are both fun and therapeutic for little ones. Designed to encourage a stress free environment and good health, these cotton character’s bellies are filled with Baltic amber while arms and legs are stuffed with organic buckwheat hulls. Choose from a rabbit, panda, kitty or monkey – all priced $72.95 from Cheese and Pickles. Babies can put their best foot forward in the fashion stakes over the festive season wearing a pair of adorable animal print pre-walker shoes from Love Luck And Wonder. These beautiful shoes are made from the softest leather to protect perfect toes. Available at $39.95 a pair from The Little Homewares Company. For a book that stands out on the library shelf, Mesmerised is perfect. 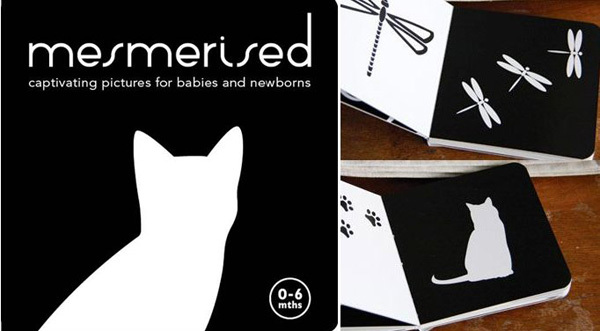 A board book designed for children aged up to six months old, it’s filled with simple silhouette images in black and white, which we know babies love to focus on! A great stocking filler, Mesmerised is priced $13.95 from Scallyoop. Christmas day is the perfect excuse to show off a new outfit and with summer in full swing there’s no better reason for your gorgeous bub to wear this Liberty print bonnet and booties set from French brand Eponime. 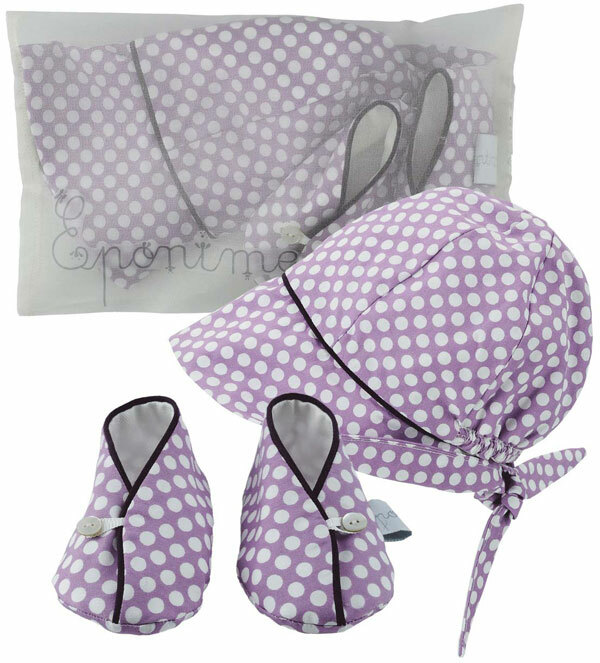 This gift set in all its polka dot glory can be yours for $62 from Millie Abroad. Babies love to mouth everything so why not be prepared with a stunning organic wooden teether from Smiling Tree Toys. It’s not often we can call a practical teething toy stunning so we love that these look just as beautiful perched upon a shelf on display until baby is ready for them! A guitar, giraffe and star are just some of the designs available. Available from $15.95 at The Online Nest. Give the gift of organisation with this sweet Ava three piece change table set, priced $49.95 from Mor-Stor. 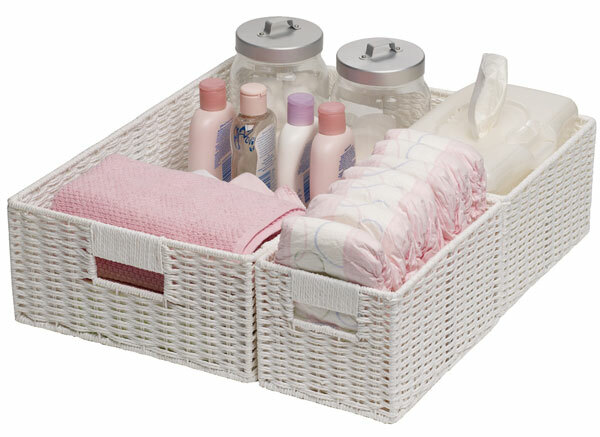 It’s all that’s needed to keep all those change table requirements neat and organised and most importantly – right where you need them! A new wire frame construction makes the baskets super sturdy so they can house all sorts of treasures further down the track, long after the change table has been packed away. 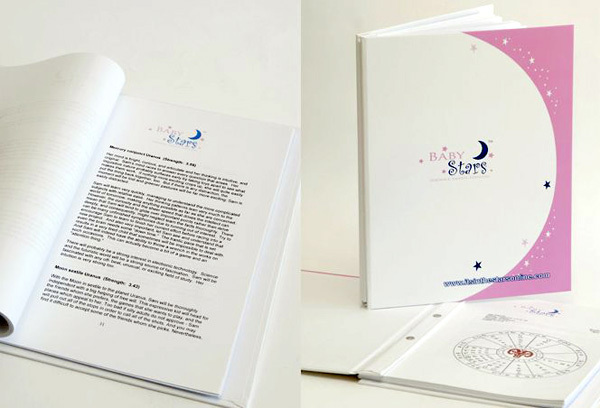 An interesting read and the ultimate way to gain an understanding of your child’s personality traits and future potential from an astrological perspective is in their very own BabyStars Luxury Report. A full fifty page report is bound and presented in a hardcover book format, making for a unique keepsake. Priced $109 from It’s In The Stars. The festive season is so busy it often plays havoc on a newborn’s sleep routine so any extra help will be well received we’re sure. 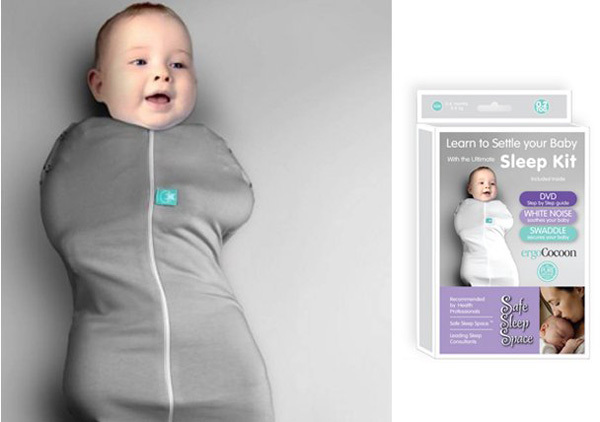 The Sleep Kit is sleep assistance in a box and includes an ErgoCocoon, white noise and an instructional DVD with tips for settling your baby from leading sleep consultants. While you can’t put a price on sleep itself, the Sleep Kit costs $49.95 and is available from ErgoPouch. MummaBubba Teething Jewellery is something both baby and mum can enjoy! A wide variety of perfectly-safe-to-chew-designs from tulip necklaces, pendants and bracelets, there is most definitely something for everyone – and all in bright, bold colours ready to celebrate summer and brighten up any outfit! Priced from $14.95 you can start your collection at Aussie Bubs. Stay tuned for more of our Babyology Christmas Gift Guides!